Gary Wayne Gonderzik Age 71, of Rice Lake, WI died Sunday, March 17, 2019 at his home surrounded by his loving family. He was born on August 18, 1947 in Eau Claire, WI to Gordon and Betty (Brandrup) Gonderzik. Gary graduated from the Eau Claire Memorial High School in 1965 and then attended UW Eau Claire for a year. He entered the United States Navy in 1966 and served during the Vietnam Era and was Honorably Discharged in July 1970. Gary worked at Wright Products in Rice Lake for many years making die casts and springs. He enjoyed trout fishing and his annual trout smoke out every October. Gary enjoyed playing pool, hunting and his extravagant bed pan collection. 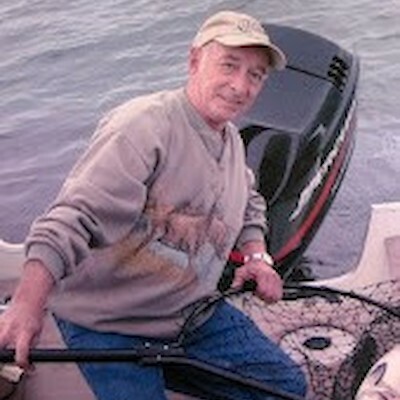 He is survived by his wife, Marlene Gonderzik of Rice Lake; 2 sons, Gary (Dana) Gonderzik of Chugiak, Alaska and Rob Gonderzik of Rice Lake; a daughter, Sherrie Elliott of Rice Lake; 5 grandchildren, Micah, Mackenzie, Madison, Vince and Gavin; stepfather, Robert Brandt; step mother, Bernie Gonderzik; half brothers and sisters, Joni Frederick, Paula Brandt, Terry Gonderzik, Scott Gonderzik, Denis (Diane) Gonderzik, Susan (Brian) Weber, Debra McFaul, Vicki (Kevin) Sterland and Nancy Gonderzik; many nephews and nieces. He was preceded in death by his father, Gordon Gonderzik and his mother, Betty Brandt. A Mass of Christian Burial will be held at 10:30AM Friday, March 22, 2019 at St. Joseph Catholic Church in Rice Lake, Father Ed Anderson officiating, with interment in the Northern Wisconsin Veterans Memorial Cemetery in Spooner, WI, where Military Rites will be accorded him by the Rice Lake Veteran Honor Guard. Visitation will be held from 4-7PM Thursday at Appleyard’s Home for Funerals in Rice Lake and for one hour prior to the Funeral Service at the Church on Friday. In lieu of flowers, memorials would be appreciated.